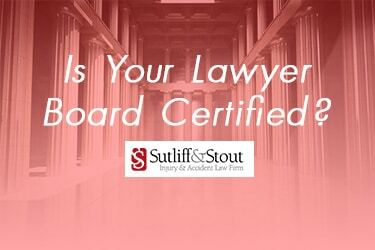 Home » General Legal » Is Your Lawyer Board Certified? Board certification is the process by which an expert demonstrates mastery of professional knowledge. The Texas Board of Legal Specialization is the only governing board authorized to certify attorneys in legal specialty areas. The Board Certification signifies an attorney has substantial, relevant experience in a specific area of law that has been demonstrated through the test. There are more than 100,000 attorneys licensed to practice and less than 10 percent are Board Certified. A practicing attorney with five years of experience and a minimum of three years’ experience in a specialty area can voluntarily take the exam. It is not only extremely difficult to pass the test to become Board Certified in Personal Injury Trial Law, but these attorneys must also remain involved in the personal injury field and obtain periodic reviews from peers in that field. A Board Certification is a mark of excellence and a distinguished accomplishment in the legal field. Why choose Sutliff & Stout, Injury & Accident Law Firm for your personal injury case? Founders Graham Sutliff and Hank Stout of Sutliff & Stout, Injury & Accident Law Firm have earned Texas Board of Legal Specialization in Personal Injury Trial Law. According to the Texas Board of Legal Specialization, Board Certified Lawyers earn the right to publicly represent themselves as a specialist in a select area of the law. Only a very small fraction of Texas attorneys have earned the right to call themselves specialists in any particular field, and our firm is led by two Board Certified Personal Injury Trial Law Specialists. If you or a loved one were involved in a car accident, our firm has been successful in securing millions of dollars for our clients. Hiring a Board Certified Personal Injury Trial Lawyer can make the difference between the failure or success of your case. Contact Sutliff & Stout today for a free case review.